AGM on November 2016 We had our Annual General Meeting on 26 November 2016 and a new vibrant committee team for 2016 – 2017 was formed. The committee has a very good combination of members representing all educational sectors from primary, secondary, tertiary and independent, government and community schools. We currently have over 152 financial members. 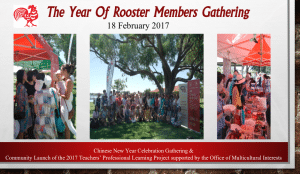 The Year of Rooster Annual Chinese New Year Members’ Gathering Over 60 members participated in this wonderful networking opportunity. As a teachers’ association, we strongly believe that networking amongst members is the key to a healthy and successful association. 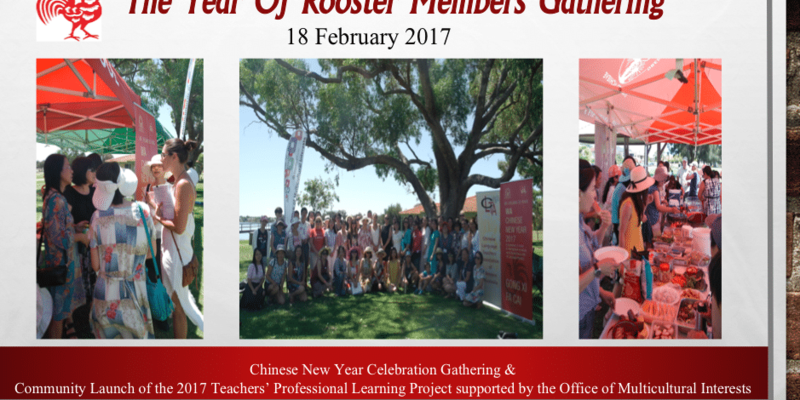 With the funding, the Chinese Language Teachers’ Association of WA agreed to conduct a professional learning program from 25 February to 25 November 2017. The program included PDs for teachers and would be delivered by specialists in the language teaching field within WA and from interstate. 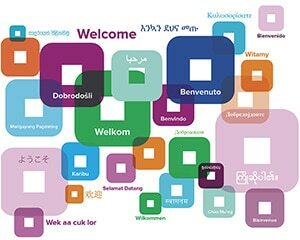 The program focuses on improving the skills of Chinese community school language teachers in the areas of programming / the use of technology to enhance their language teaching. The CLTAWA estimates that there are around 20 Chinese community language schools in WA with approximately 300 teachers and over 2000 students. 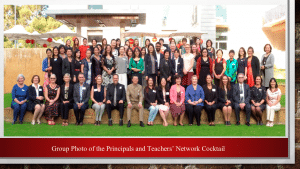 At the end of Term 1, CLTAWA organized another very successful Principals and Teachers’ Networking Cocktail to acknowledge the support of principals to their Chinese language teachers. This event brought together principals and their teachers in a less formal and relaxed environment. It also offered an opportunity for schools to exchange information and ideas with other schools and teachers. This year we are very fortunate to have the newly elected Minister for education and Training, the honorable Susan Ellery, MLC to join us. It was her first official event after her appointment as the Education Minister. On the day we also had the official launch of the Chinese Teachers Training Grant from OMI. Around 500 representatives from Australia attended the Welcome Banquet at Sydney City hall. 20 overseas representatives from Western Australia attended the event. Jieqi Zhang, the President, attended the event on behalf of the CLTAWA. 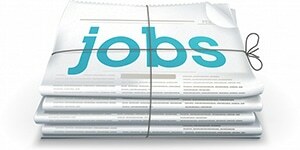 CLTAWA was the only representative from education sector in WA. The second Western Australia Story Telling Competition for Heritage Students (西澳华裔学生讲故事大赛) in Term 1 highlighted the high level of Chinese language skills of our heritage students and provided them with the opportunity to showcase their talents. This event encouraged involvement particularly from community schools. Mandarin Speaking Competition for second language students and Chinese Writing Competitions were also held as one of our ongoing annual activities. Primary School Pandas’ Picnic and High School Year 9 Day Language and Culture Excursions. In term two, students from government and independent schools mingled with each other at these two separate full day excursions. Students applied their classroom language skills in realistic and meaningful situations as well as participated in Chinese cultural activities such as Calligraphy, Jianzi making and Papercutting.